A weed is an invasive plant that requires some form of action to reduce its effect. Many plants introduced into Australia in the last 200 years are now considered weeds. Weeds typically produce large numbers of seeds, and this assists them to spread. They are often excellent at surviving and reproducing in disturbed environments. Weeds can inhabit all environments, from our oceans, deserts and alpine areas, to our towns and cities – including your lawn. In Australia, weeds are spreading faster than they can be controlled and management of them is consuming an enormous amount of resources. Climate change also poses a challenge to our ability to manage weeds. Not all varieties of lawn are susceptible to lawn weeds, but all grasses are likely to suffer from weeds at some point during the year. Sir Walter Buffalo is considered to be weed resistant as the thick nature of the lawn prevents weeds from taking hold. However, even Sir Walter will acquire weeds at some point in time, and this needs to be tackled immediately. It is a fact of life that if we have a lawn and garden we will have to deal with weeds from time to time. The trick is to control weeds early rather than let them get out of control and set seed all over your yard – this is bad news. Some single plants can produce up to 10,000 seeds, meaning the weed will spread very quickly, and thickly! It’s important that if you see weeds starting to appear on your lawn that you act to remove them before they become a problem. Young weeds are less likely to have germinated and started to spread their seeds, so that’s the time to remove them. Left untreated, your lawn could become more weeds than grass. Hand removal is always the best way to remove weeds, if possible. Mowing regularly can also stop weeds from setting seed. 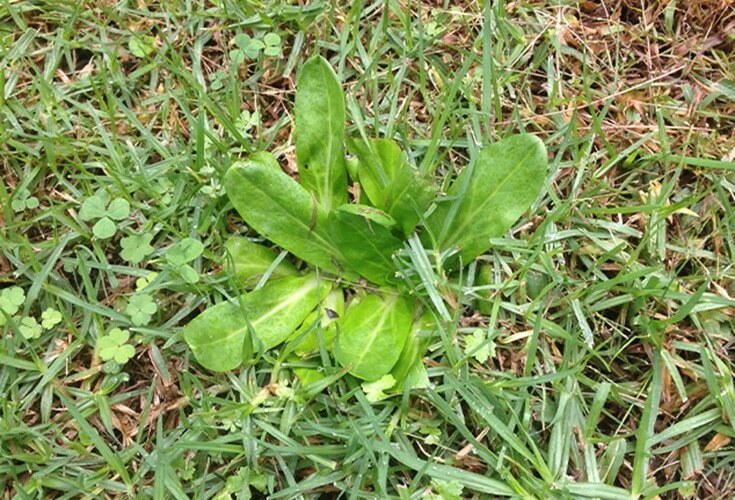 Most problem weeds grow and take over lawns during the winter season. Some weeds can be removed easily by hand, others will require a herbicide to remove them. 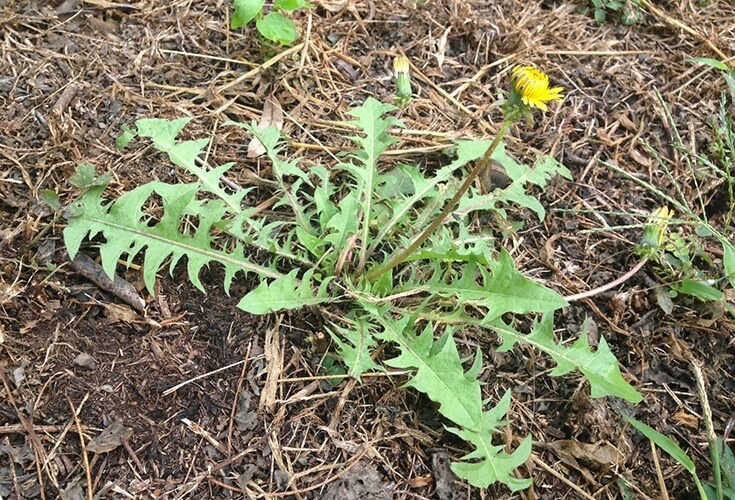 Here are some common weeds you may encounter, and how they should be treated. Winter Grass grows in the cooler months. It looks a bit like your lawn but is a brighter colour and has thinner, taller blades. It clumps together and will develop seeds at the tips if left too long. If it goes to seed, these bury into the soil and will recur the following year in greater numbers. 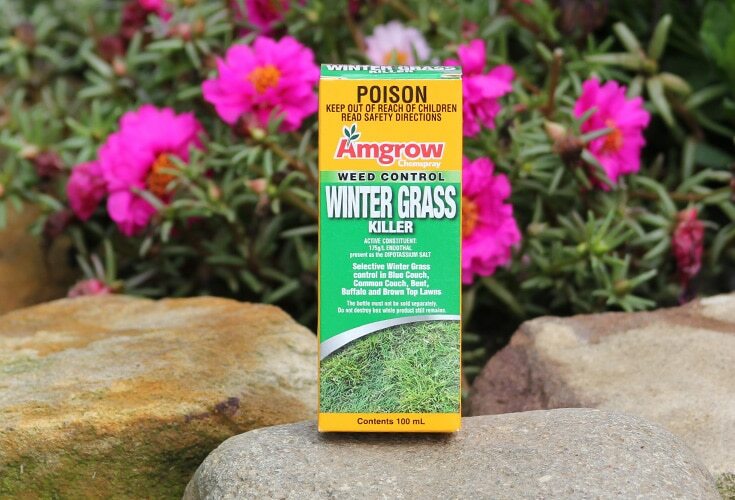 Remove Winter Grass by hand when you see it or if you can catch it early enough, you can poison it with a special weed killer. Applying a winter grass-specific herbicide in spring can be an effective way to reduce the risk of a lawn riddled with Winter Grass. If your lawn is infested, regularly mow it so that the weeds can’t go to seed, and then treat with the herbicide the following year. Read more about wintergrass and crows foot grass here. Dandelion has a yellow daisy-like flower that grows on a long sappy stem from a radial base of notched leaves. When the flower dies, it leaves behind a ball of hairy seeds that blow off in the wind to spread. It’s best to remove these by hand before or while the yellow flower is in bloom, before it goes to seed. Or, you can apply a herbicide with a wand to the base leaves, being careful not to apply to the grass. Most people are familiar with bindiis as they leave little thorns (seeds) in bare feet when you tread on them. They have small, fine, fern-like leaves, usually light green in colour. Treat these in autumn or winter before the plant goes to seed with a specific bindii herbicide such as Lawn Lovers Buffalo Weed Control. This can be applied to the lawn and it will selectively kill the bindii weed. Cudweed looks almost like tiny shiny lettuce leaves in your lawn. They have fibrous roots and may have little flowers. Cudweed is difficult to kill due to its glossy leaves. 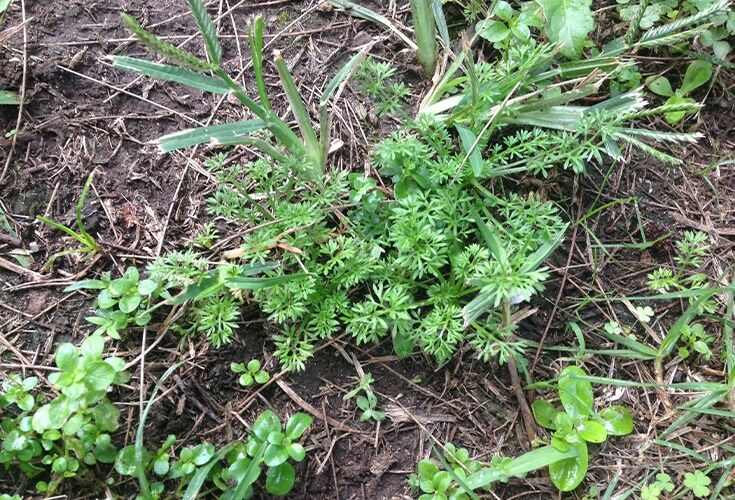 It’s best to remove these by hand or with a herbicide such as Lawn Lovers Buffalo Weed Control. You may require two or more applications. 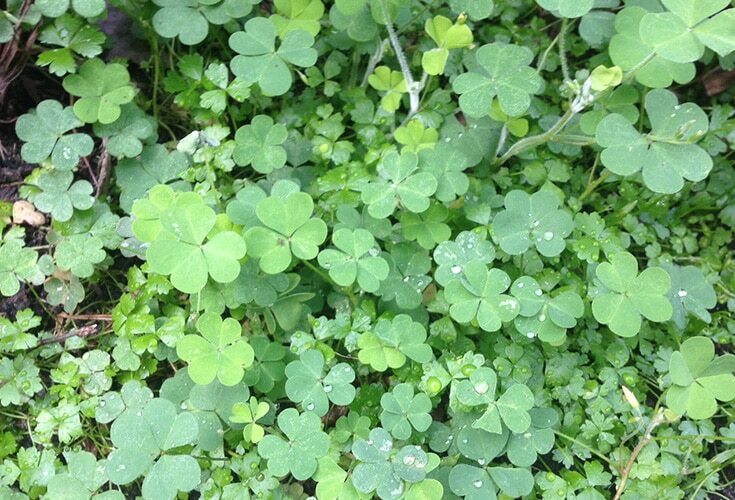 While some may find Clover lucky, it’s certainly not when it takes hold of your lawn. Clover typically has three soft, small heart-shaped leaves per stem, and grows thickly in your lawn grass. It can spread quickly under the ground and can only be removed with a herbicide such as Lawn Lovers Buffalo Weed Control. 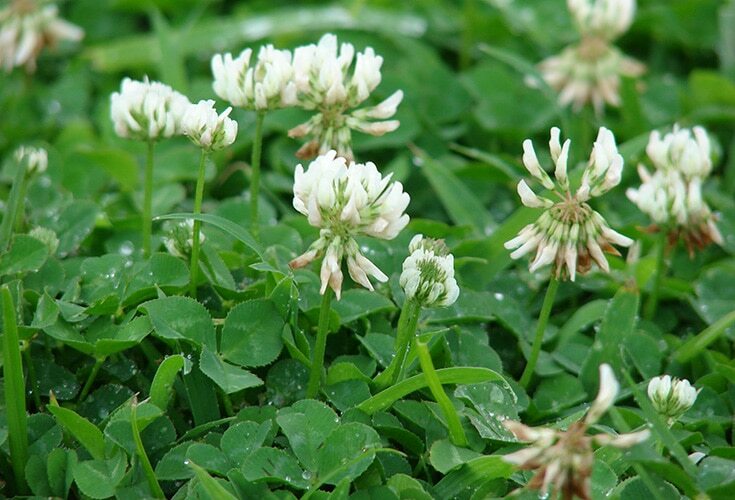 While Clovers are a weed in lawn, in other areas they can be beneficial due to their high nutritional value. Creeping Oxalis are identified by their small, light green, clover like leaves on short petioles and small, yellow, bell shaped flowers. Creeping Oxalis forms new roots wherever stems touch the ground, creeping under and through the lawn, with thin tap-roots. Apply the Lawn Lovers Buffalo Weed Control for larger infestations. Sir Walter Buffalo is lush and green, with a tight growth habit to hold out most weeds. Unlike other lawn varieties, the low maintenance Sir Walter lawn is weed resistant. Sir Walter Buffalo was bred to be tough yet strong, and gives your lawn a luxurious and verdant look that other varieties don’t. However, Sir Walter is not weed-proof, and it is important to act immediately when you see a weed. Hand removal should be enough to conquer the rare weed in the Sir Walter Buffalo, if you act immediately. By keeping your lawn fed, watered and healthy you will not have many problems with weeds. However, when weeds do creep in, it is important to control them early rather than letting them get out of control by setting seed and spreading. Hand removal is often the best way to remove weeds, however sometimes a herbicide is required. We offer a range of herbicide products in our online shop. 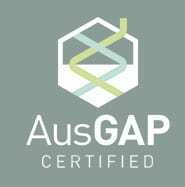 For more information about lawn weeds contact our friendly staff on 1800 806 304 or email sales@grechsturf.com.au. 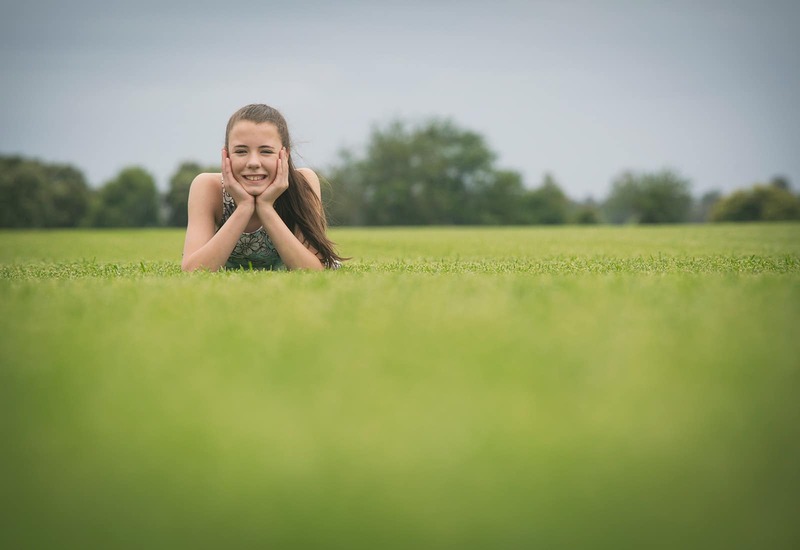 We would be delighted to guide you through your lawn issues and help you to achieve a weed-free lawn you will love.